Enthaltene Komponenten Raid Controller, MFBU offload cache module, Cache Offload Module Cable, Quick Start User Guide, 1 standard & 1 Low Profile bracket. No SAS Cables are included. 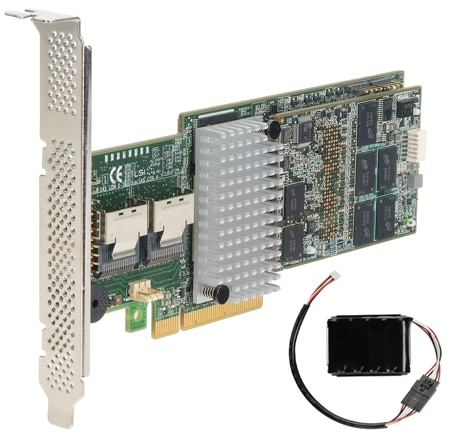 Beschreibung 6G 8 Internal Port SAS RAID controller with dual core ROC, PCIe Gen 3 capable, and includes Maintenance Free Backup Unit. No cables included.